Any time that you experience a worsening of your health due to the actions of a medical professional, it could be classified as medical negligence meaning you might be able to claim compensation. Medical or clinical negligence occurs when a medical professional who was responsible for safeguarding your health, does something which actually damages your health. Examples of medical negligence include; being given the wrong medication, being misdiagnosed, receiving the wrong treatment, being the victim of an error made during a surgical procedure, etc. Did the medical professional have a duty to safeguard your health? Did a failure to meet this duty directly result in a negative effect on your health? Could the failure in duty have been avoided? If you answer yes to all three of the questions above, we can likely help you to claim compensation for medical negligence. Legal Expert offers a national claims service suitable for Wigan residents and people all across the UK. We have a proven track record of winning complex medical negligence cases and securing the maximum amount of compensation possible for our clients. If you need to find a solicitor in Wigan, and you want to make sure you choose a good one, then there are a few considerations you need to keep in mind. Firstly, and most importantly, does the solicitor have a proven track record of winning similar medical negligence cases? Secondly, how does their fee structure work? Will you need to pay any legal fees up front? Lastly, can they arrange for additional services such as a local medical examination? A better way to find a good solicitor without doing all the legwork yourself is to use the nationwide claims service that Legal Expert offers residents of Wigan. Our team of medical negligence lawyers can cover the Wigan area. However, if you would rather find your own solicitor, here are a couple of tips below. A good starting place is to search for some medical negligence solicitor reviews online. These kinds of independent reviews can be a good source of impartial opinions. However, they can also be faked, so don’t rely on them entirely. Once you have read a few reviews, check with family and friends to see if any of them have used the solicitors you have shortlisted. You can use a social networking site such as Facebook or Twitter to reach out to them. Legal Expert offers its claims service to residents of Wigan, and indeed, people all over the UK as a better option for finding a good solicitor. Are Medical Negligence Claimants Restricted to Using Local Solicitors? There really is no reason to use a local solicitor. Email, VOIP applications such as Phone, web chat and mobile telephones have made keeping in contact with your solicitor simple, no matter where they happen to be. Legal Expert can represent you in medical negligence cases, no matter where you are located In England and Wales. We can also arrange for a home visit if you prefer it, and also for a local medical examination if we need one to make your claim successfully. Legal Expert lawyers have track records of up to 30-years of winning a wide range of medical negligence cases and claiming the maximum amount of compensation possible for our clients. We truly believe that our national claims service is the best option for Wigan residents who need to make a negligence claim. Below we have detailed some of the typical types of negligence cases we handle regularly. This is not a full list, so if your case doesn’t seem to fit with any of those outlined below, give us a quick call to discuss the specifics of your situation and we will give you some free advice on what to do next. Suffering an injury due to an accident or mistake during surgery. Falling victim to an accident due to sufficient care and supervision not being given. Delays in receiving adequate treatment. These are just a few of the ways that medical negligence can occur in hospitals such as the Royal Albert Edward Infirmary or Spire Manchester Hospital in the Wigan area. Rest assured that if you choose Legal Expert to make your compensation claim, we have plenty of experience in successfully claiming against large organisations such as these. Dental negligence occurs when a person being treated at a dental surgery is injured in some way. Most commonly, this is due to an accident during a dental procedure taking place. These kinds of accidents can lead to damage of the mouth, teeth or gums. They can also lead to damage to the soft tissue of the face, which could result in long-term or permanent scarring. Legal Expert can help you claim against a dentist for both the pain and suffering caused by the injury and also the psychological effects of having to live with a cosmetic injury. Successfully winning a GP negligence case is far from straightforward. 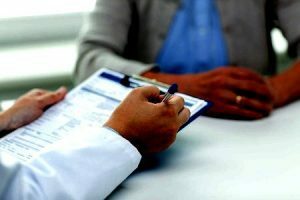 As the initial point of contact for all of your health issues, if your GP makes a mistake the consequences can be dire. However, it is very hard to prove that a GP has been negligent as they tend to work independently, making it hard to prove events that lead to the negligence. Legal Expert can help you to claim against your GP by arranging for you to have a local medical examination, the result of which we can present as an expert medical opinion designed to refute the defence of your GP. A simple mistake such as misdiagnosis can have life-threatening consequences for a cancer patient, and medical negligence solicitors need to take the seriousness of the case into consideration at all times. Misdiagnosis can lead to a delay in receiving the correct treatment. This delay in advanced cases of cancer can make the difference between life and death. We have produced a guide to cancer misdiagnosis for your information. If you have lost a loved one due to cancer negligence, the national claims service offered by Legal Expert can help to get you the maximum amount of compensation possible. Care home negligence is the most common type of medical negligence that happened in Wigan. Even though every care home is required to maintain certain standards of care by law, they often fail to do so. This failure can manifest itself in many ways. For example, insufficient supervision f residents can lead to accidents such as slips, trip or falls. It can also lead to staff missing the onset of dangerous medical conditions. If you have a relative who has suffered whilst resident in a care home due to negligence, Legal Expert can help you make a successful claim. Our claims service is available to residents of Wigan and the entire UK. Of all the types of medical negligence cases we handle here at Legal Expert, childbirth negligence cases are amongst the most heart-breaking. In extreme cases of childbirth negligence, the baby, the mother or even both can suffer terminal injuries. Less serious cases can still see the baby being the victim of permanent brain damage. The mother can also receive serious injuries such as a fractured pelvis. When we represent a family that has been the victim of some form of serious childbirth negligence, we are always sure to follow medical negligence compensation guidelines for such cases. We know that no amount of compensation can make up for the loss, but we always aim to get the most we possibly can for the surviving family members. When you make a medical negligence claim, the resulting compensation paid is tracked by the relevant NHS trust. Below you will find a table which presents the number of incidents and total damages paid for NHS trusts in the Wigan area. Before you engage a solicitor in Wigan, please consider using our national claims service. Legal Expert operates under a No Win No Fee scheme. What this means is that you pay nothing at all until we actually win you a compensation pay-out. There is no charge to begin your claim, and no ongoing fees to pay. If you don’t win, you don’t pay it is that simple. If you have been the victim of medical negligence, you should call us here at Legal Expert on 0800 073 8804 today. We will take all the information about your case, and then offer some free advice on what to do next. If you would prefer to speak with a solicitor face to face, we can arrange a home visit for residents of Wigan. The guide at the link above gives plenty of information on how to make a claim for a birth injury due to negligence. In March of 2017, the UK Government ran a study which looked at how birth injury compensation could be disbursed more quickly. The results of this study are at the link above. Published at the link above is NHS information comparing different birth techniques.